A band like itoldyouiwouldeatyou is always important to have around, especially at the ground level they’re at right now. When topics of gender and identity are still very much pushed aside in modern society, to have such a tangible touchstone in which they’re discussed openly holds a lot of significance; Nervus did it excellently on Everything Dies this year, and now so have itoldyouiwouldeatyou on new EP Get Terrified, in which vocalist Joey Ashworth discusses frankly and honestly their experiences of being bisexual and non-binary. But where some will undoubtedly continue to hammer in Nervus comparisons wherever possible, purely because of subject matter, when in reality, that’s where the similarities end. Where Nervus channel those frustrations into big, anthemic alt-punk tracks, itoldyouiwouldeatyou are a lot more tactile, favoring spidery, midwestern emo and math rock tones to flit away in the background, giving more room for Ashworth’s more intimate vocals. It’s perhaps not as immediate, and on a four-track EP that can be a serious detriment, but the attention to detail on Get Terrified more than makes up for it. A track like Divine Violence exemplifies this perfectly, with a twisting lyrical flow to match the jittering guitars and drums and the occasional squeal of trumpet. And while the glassy, atmospheric trip-hop of closer Off Brand mightn’t fit with the rest of the sound whatsoever, it’s a testament to itoldyouiwouldeatyou’s versatility as a band, particularly when it ends up as a rather beautiful track in its own right. Another explanation could be the sound mirroring the confusion and frustration in the lyrics, where Ashworth recalls their own experiences of prejudice and mistreatment from a society that’s ultimately blocked out their existence. There’s a clear curdling anger that underscores Mourn and Divine Violence in their detailed retellings of discrimination, while the title track goes even wider, taking aim at a political system that’s bred such views and turned so many people against each other. It’s a bold move that rarely gets tackled, and it’s done with an impressive amount of gall here that can be incredibly effective. It certainly branches itoldyouiwouldeatyou out from others in their field, establishing them as a band that could have a genuine voice for the under-represented with just a bit more fine-tuning. As it is now, this is definitely good, with plenty of heart and imagination that carries such a personal subject forward with steps to really making a change. Even if itoldyouiwouldeatyou aren’t quite there yet as far as an established sonic pallet goes, what they’re working off is already incredibly strong. 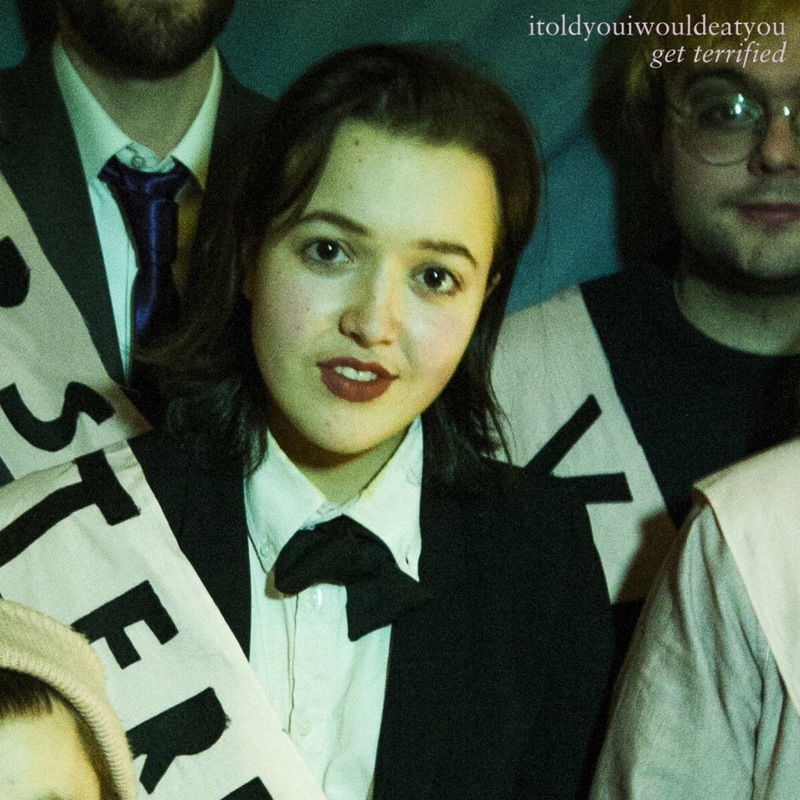 ‘Get Terrified’ by itoldyouiwouldeatyou is released on 20th April on Alcopop! Records / Failure By Design Records.